 The School is inspected by OFSTED against the Independent School Standards as well as the Common Inspection Framework of September 2015. We work closely with the inspectors to ensure all criteria are met. Our most recent full OFSTED report was published in November 2018. You can download the report below.